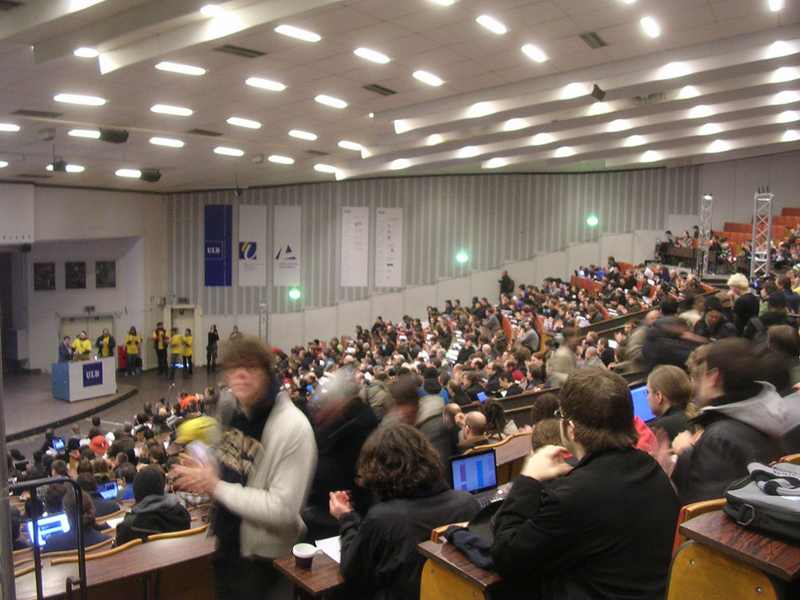 I was aware that over the years, FOSDEM became a large community event, but I honestly did not expect such a wide audience. Amazing. As a more substantial consideration, since my research interests rest on how end-users (the non-technical or non-geeky users as some speakers referred to :) ) participation to FOSS project influences the software continuous design, I was very pleased and interested in realizing the the topics of why, and how end-users should/could be more integrated in FOSS projects entered inside the broader community culture. I'm not saying that I expected these topics to be absent (for instance, they were discussed already in this conference), however, I did not expect them to be so central in many talks.